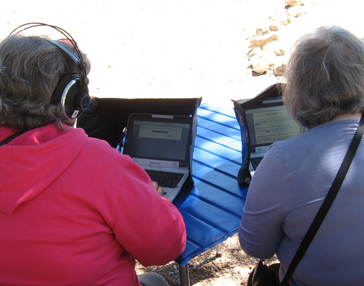 Aircraft Noise Modeling and Visitor Soundscape Experience Survey | Resource Systems Group, Inc. The National Parks Air Tour Management Act of 2000 requires the development of Commercial Air Tour Management Plans (ATMP’s) for national parks. A primary purpose of ATMPs is to manage potential impacts of air tour operations on park resources and visitors’ experiences, including aircraft noise impacts. The National Parks Air Tour Management Act of 2000 further specifies that any methods to assess air tour noise impacts must be based on scientific methods. Thus, the NPS requires scientifically defensible methods to establish thresholds of aircraft noise impacts to national park visitors. 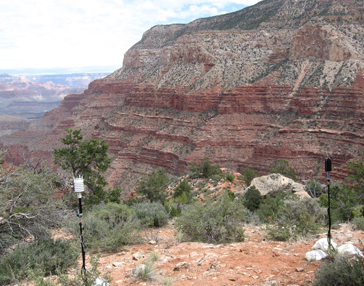 RSG worked with the Volpe Center to develop and apply a national program of research to measure aircraft noise levels and visitors’ responses in national parks. RSG participated in a series of workshops with the Volpe Center, the National Park Service (NPS), and others to design acoustic monitoring procedures and visitor survey instruments for this national program of research. 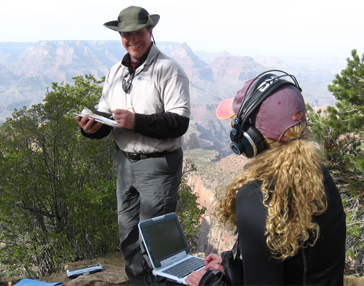 Further, RSG conducted acoustic monitoring and administered visitor surveys at several ATMP parks, including Grand Canyon, Zion, Bryce, Glacier, and Mount Rainier National Parks. Results of RSG’s research are being used by the NPS to help identify thresholds of aircraft noise for ATMPs, beyond which there are unacceptable impacts to visitors’ experiences.